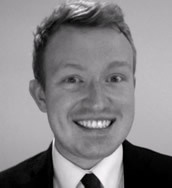 Thanks to Laurie Anstis of Boyes Turner, who is standing in for Daniel Barnett this month. Was an employment tribunal's failure explicitly to identify those factors that led it to a percentage Polkey reduction an error of law? Yes, held the EAT in Contract Bottling Limited v Cave and McNaughton. The Claimants were made redundant pursuant to an unfair selection process. The employment tribunal reduced their compensation on the basis of a 20% Polkey reduction. In the EAT, Langstaff P reiterates core Polkey principles. An employment tribunal's role is to engage with evidence (speculative albeit) to determine the chance of a fair dismissal taking place at some point in the future. Here, the employment tribunal 'rather plucked a figure in the air'. Unsurprisingly, that is not a safe approach. (1) Where an employment tribunal does set out a reasoned connection between the evidence available to it as to the likelihood of fair dismissal "there can be no legitimate ground for criticising a particular percentage unless it is manifestly less than or more than the percentage which might have seemed proper". (2) A purely mathematical approach will rarely be sufficient. Where, as in this case, 4 out of 10 pooled employees were in the event made redundant, it is not enough to give 40% as the percentage. Following the President's example, employment tribunals would be well advised to identify all of those factors that might increase the chance of a fair dismissal, and all of those that decrease it, in order to come to a reasoned figure. This is art, not science.